In order to maintain character consistency, Harrington watches each new episode of GoT alone, and constantly reviews episodes and scenes from yesteryear - what he's witnessed hasn't always pleased him. 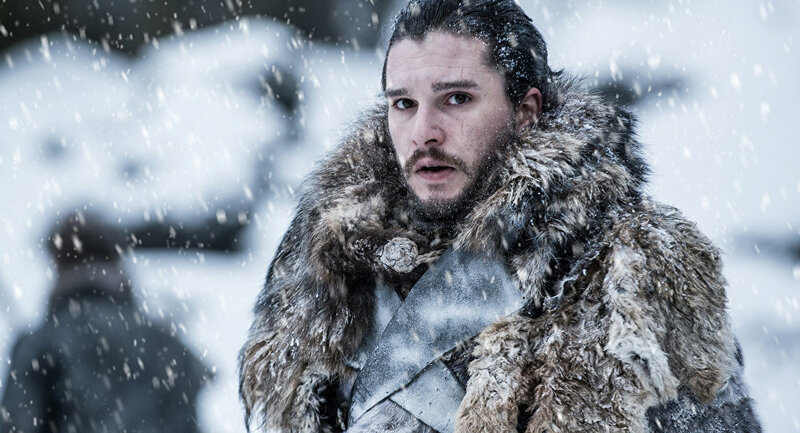 Kit Harrington has arguably been Game of Thrones' biggest and most recognisable star since the popular series debuted in 2011 — but in an interview with Variety, 'Jon Snow' has revealed he's endured an at-times difficult relationship with the show, and his character. "Looking back at the entirety of Thrones, there'll be 70% of the scenes I'll just never be happy with. I've come to terms with that," he said. Also he looks 🔥 — keep repping it for the short kings Kit. Moreover, he found reading reviews of the show so trying he simply stopped during season three — allegations his character was "boring" were particularly difficult. "My memory is always ‘the boring Jon Snow'. That got to me after a while, because I was like, ‘I love him. He's mine and I love playing him.' Some of those words that were said about it stuck in my craw about him being less entertaining, less showy," Harrington recalled. However, as GoT's final season — its eighth — nears, the man behind Jon Snow seems to be increasingly relaxed, and confident, about his portrayal of the character. "I now look back and I go, well, I was a f**king integral part of that whole thing. Jon was, and I am, and I'm proud of it. It took me a long time to not think, I'm the worst thing in this….I know who this is now, and I'm at peace with who this is. I just got a feeling it's the most satisfied I will be with my work as Jon Snow," he concluded.